OBLIGATORY REMINDER: Homebrewcon in Portland, Oregon is coming up AND we’ve got a FREE shirt just for you! It’s true! CLICK HERE to reserve your free shirt if you’ll be attending the event and want to represent our show, which may or may not be in your top 100 favorite shows to listen to. 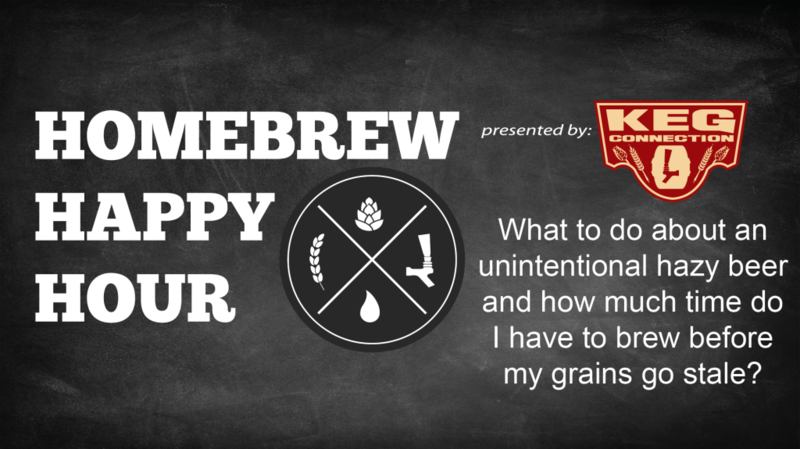 On today’s show, we take your questions on how to resolve an unintentionally hazy beer and also how long, roughly, do you have until your grains go too stale to brew (spoiler: James is gonna use those grains to brew regardless!). Today’s show is brought to you by Kegconnection.com! Kegconnection has some of the best deals on homebrewing supplies and draft beer equipment PLUS a brand new section of delicious ingredients and recipe kits! Use the promo code “HHH” to receive 5% off your order.